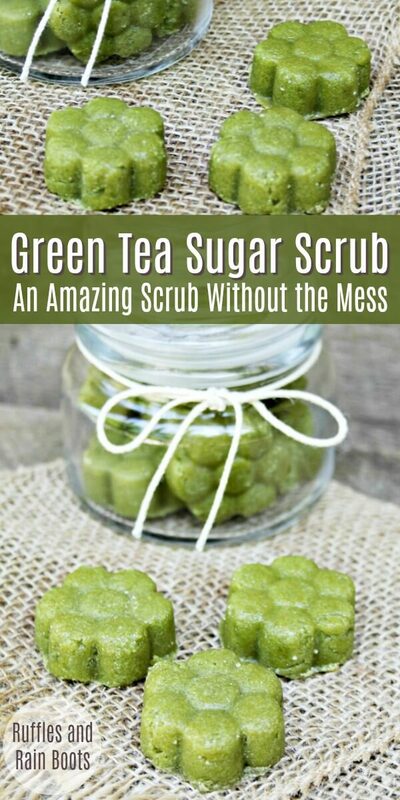 We made this matcha green tea sugar scrub in solid form, allowing you to gift it easily or just make less of a mess when using them yourself! 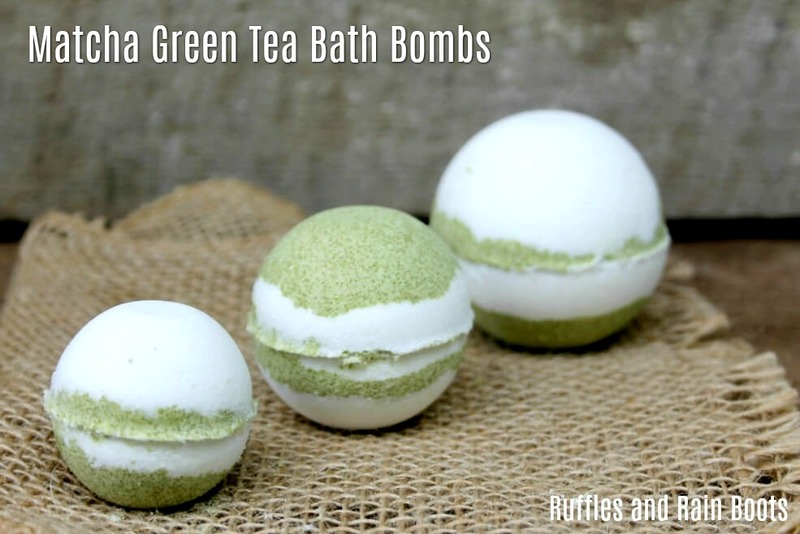 Natural ingredients are perfect for DIY bath and body products. 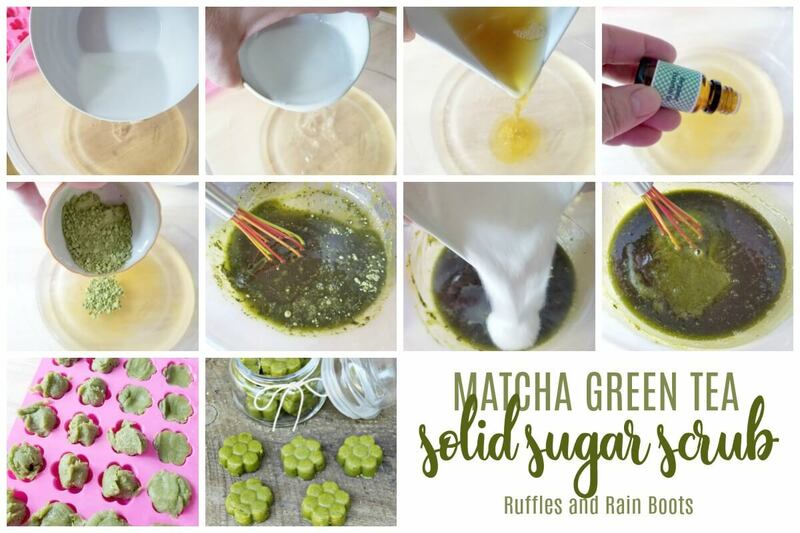 Green tea has so many health benefits that it’s something we’ve just started incorporating into our routine here on Ruffles and Rain Boots. Because we make all of our own bath products here on Ruffles and Rain Boots, we’re sharing all of our favorite supplies in our Amazon Shop. Click to see all the goodies. 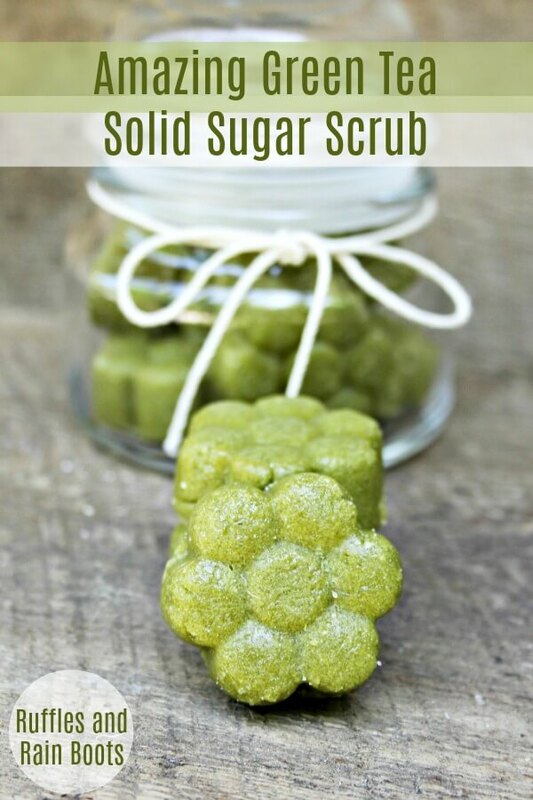 Making solid sugar scrubs is just slightly different from their powdered counterpart. 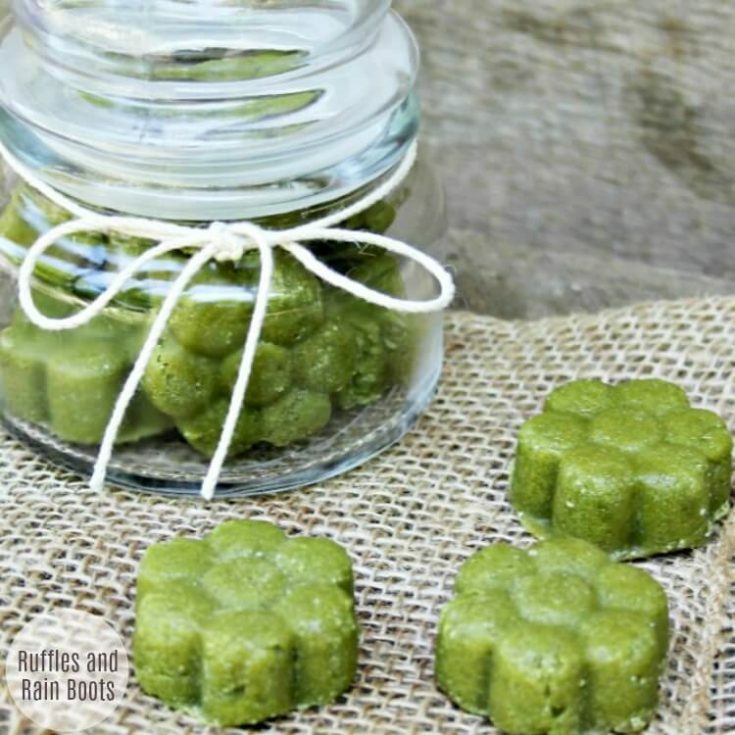 Put the soap base, coconut oil, and shea butter in a microwave-safe bowl and melt in 30-second intervals. Add essential oils and matcha green tea powder. Stir well. Add in the sugar and still until a thick paste has formed. Spoon it into the molds – press firmly – and let it sit for a minimum of 2 hours. Tip: we usually leave ours overnight. Store in an airtight container. Add in the sugar and still until a thick paste has formed. Spoon it into the molds - press firmly - and let it sit for a minimum of 2 hours. Tip: we usually leave ours overnight. Store in an airtight container. Remove 1 or 2 from an airtight container. Gently crush them in your hands - you don't need to crush them completely. Note: if you're gifting these, include a note with the instructions for use above. 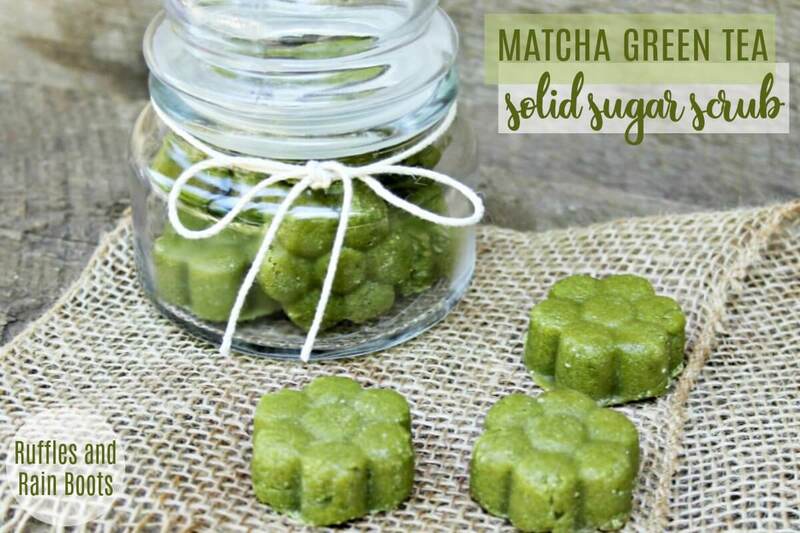 Do you use matcha green tea powder in your beauty routine or kitchen? If you haven’t tried adding it to smoothies, it’s a great addition. 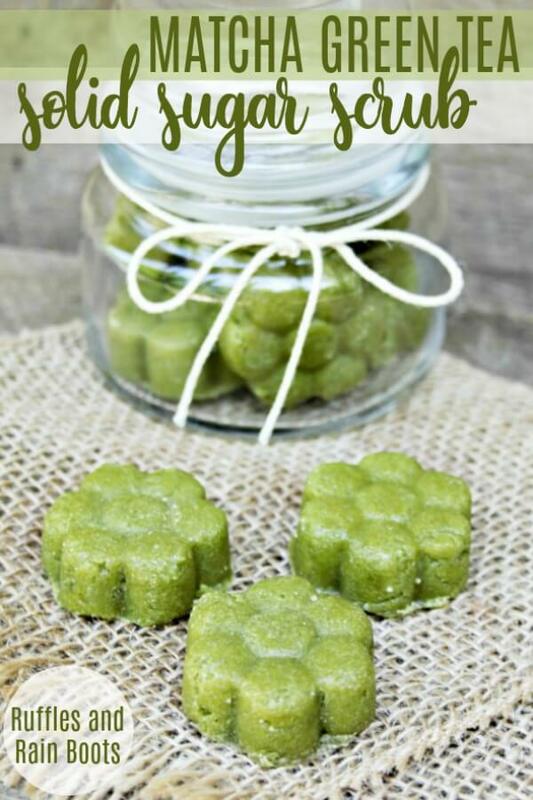 RELATED READING: Easy Lemon Sugar Scrub Recipe Made Into Cubes!